Video security experts servicing Hillsborough, Pinellas, Pasco and Polk counties. Contact Red Hawk Video Security for Tampa area video security camera installation, service and repair. Tampa experts for all types of video security cameras and surveillance systems. Our experienced technicians are also available for both routine and emergency service calls to your home or business security camera systems. Full service security and surveillance system repairs in Tampa, Florida.Contact Red Hawk Video Security for fast, professional service of your video security camera system in Hillsborough, Pinellas, Pasco and Polk counties. Do you need security camera installation for your home or business? Are your cameras not recording to the DVR or NVR. Have you lost the video from one or more IP cameras? 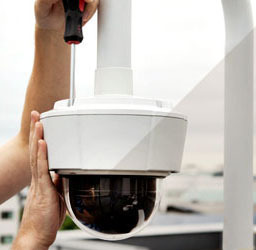 Red Hawk Video Security services provides security and surveillance repairs. installations, service, sales and repairs. Do you need a new hard disk drive in your NAS or network video recorder?